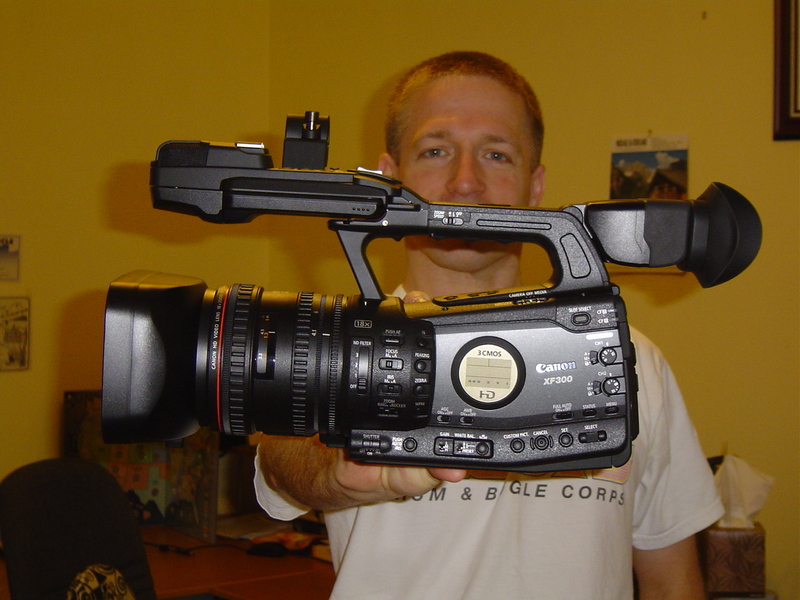 Canon says that the Canon XF300 Professional Camcorder is on it’s way to me for test & review. This camera features 50Mbps MPEG-2 4:2:2 recording to Compact Flash (CF) Cards. This high data rate should push aside all issue with compression, even though it does use the older MPEG-2 codec as opposed to the newer MPEG-4 / H.264 / AVCHD codec that a lot of newer camcorders and cameras use. The advantage to MPEG-2 is that, with a lot less compression, today’s even faster computer should handle it with ease, as opposed to the much more difficult time today’s systems have with AVCHD footage. Utilizing file-based MPEG-2 compression with an MXF File Wrapper ensures the widest compatibility with existing industry infrastructure, metadata and non-linear editing (NLE) systems. And 4:2:2 color sampling provides ultra-fine transitions in tone and color for maintaining the highest quality image for use in advanced post production. I’ve already been asked to test this with greenscreen against some common cameras and I look forward to doing that. A newly developed Genuine Canon 18x HD L-Series Lens along with three Canon native 1920 x 1080 CMOS Image Sensors delivers very clear image quality. There’s no pixel shift, no pixel binning and no line skipping. The resolution is true all the way through. The XF300 also offers multiple recording bit rates, resolutions and variable frame rates to allow you to satisfy nearly any production need. Complete customization over the image, display and operation makes the XF300 even more handy in the field. Want uncompressed, Ge the XF305 and string a NanoFlash off the back. Canon U.S.A. : Consumer & Home Office : XF300. It's big, bad and, oh man, look at the size of that lens! UPDATE: It’s here, in all its bigness. Batteries charging now. Unlike DataVideo who included a speedy (400x) CF card for testing, the camera arrives empty (as it would if you bought it) so to do this right, I’ll have to go get me a fast CF card. The camera says the cards I have (primarily for audio recording) are not supported. Initial impressions. . . It’s big. The Canon XH-A1, which I reviewed for EventDV some time ago, is tiny compared to this camcorder. When you take it out of the box, the first thing you realize is the massive size of the gathering glass. The lens cap is 82mm in diameter. That’s a LOT of glass. Second thing I noticed is the size of the LCD display. That was one of my nitpicks on the A1, how small the display was. Well, Canon has clearly improved on that with the XF series. This display is 4″ diagonal, (nearly 10.5 cm) and the deep purple sheen of the display when it is off (battery is charging in the external charger) tells me right away that it has a strong anti glare coating. (You have to wonder why laptops don’t come with such a coating.) I was curious enough to rip the battery out of the charger and see what it looks like and this is a very pretty display. With the naked eye, it doesn’t look like pixels. It looks smooth. Canon still insists on the internal battery storage compartment, which I think is a big waste of space. Sony has it right, you can recess it, but keep it open on the back. 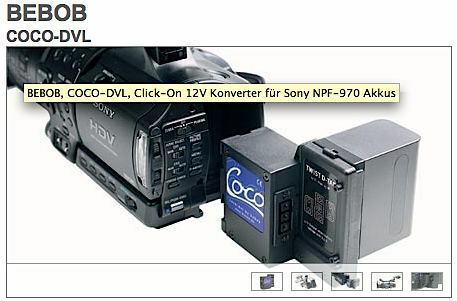 This way you can add external adapters to power other things off the camcorder batteries. Bebob’s Coco series of power adapters is what I’m thinking of first here. They give you the ability to put two batteries externally, run 12v accessories off the 7.2v battery, attach accessories, and more. The door gives you a “sub-door” to sneak in a cable, but that’s just not the same thing. Handling the camera for a few minutes reveals just what I thought looking at the camera coming out of the box. That’s big glass. Even with the half-charged battery in it, and the grip as far forward as it is, the camera is a bit front heavy. Add a light on top in the front, and a shotgun microphone, and even the extra comfy grip may have a hard time relieving the strain. I’m liking the built in waveform, and the many customizations I can set up. The menus will take some time to assess but I did just reset the camcorder from the previous user who left it in 1080p24, with a 180° shutter. Now I can start customizing it for me. So that’s it for now. More as the tests begin, tomorrow. Okay. Some preliminary tests and some initial workarounds. First some props to Brian Gunn of Action Video who took time out of his busy schedule to assist me with testing the XF300, and use his Canon 5D at his studio, which offers a collection of unique and colorful memorabilia. I had printed out some test charts and we shot the charts with all three cameras. Primarily seeing how they all react to resolution, a slight zoom on the chart, and a little bit of camera wiggle. The second test was going to be a low light test, but the mid-day Texas sun was just pounding down today. It was 105° F outside, and we could never really get the large open area truly dark. So rather than test the camera based on available lumens (which were beyond our control) I used a waveform monitor to establish a scene’s brightness exactly, and then change gain and ISO settings on the camcorders to see how much noise the cameras generate in a given image. To compensate, we primarily closed the aperature. With the XF300, there’s some 32 DB of gain, so I had to also use the ND filters. The 5D lacked ND filters on the lens (or in front) and we ended up going to ISO 6400 at f11 when the ISO dial topped out. Camera Noise Test - Image © IEBA.com All Rights Reserved. - Click for 1-1 screen grab. In other words, this is the worst each camera can possibly look when trying to pull an image out of the dirt (we had enough light to help make the noise visible). When I redo this test, I’ll do it at a given light level (which I will control) and note what gain/ISO setting was needed to achieve the same value on the waveform scope. Then you can see which camera looks the best as the lights go down— a test specifically requested of me by my readers. What I see here is this, the XF300, at 32 db is noisy, but the 50 Mbps 1080i60 image still contains tons of accurate detail because the codec isn’t trying to smash down the file size. I think the massive 82mm front glass is gathering a lot of light. The middle image has the Canon 5D lacking nearly any noise whatsoever, but when the video plays, you see some mottled color effects moving around- possibly a result of the compression inside the camera, even though the data rate is near 50 Mbps, and the codec is the much more effecient MPEG-4 based H.264. The blacks seem crushed, but we didn’t go in and tweak all the tweakables because, well, that’d probably be about a billion settings if you counted all the tweakables and the possible setings for each tweak. So we left them all at “Factory.” Also, in this image, we were at f11 so sharpness and focus should be edge to edge, yet the 5D image appears a bit blurry. So the camera is obliterating some fine detail in dealing with the noise. Lastly, on the right, the six year old Sony FX1 (the first real prosumer HDV camcorder, and the only camera here with CCD chips) seemed to hold its own. Noise is not onerous but the image not as detailed. This could possibly be noise reduction, but also consider the limited 25 Mbps data rate, less efficient MPEG-2 stream, and reduced horizontal resolution in the HDV specification. Also, the much smaller 54mm lens opening means less light is reaching the chips than, say, the Canon XF300. Considering all three of those factors, I think the FX1 holds up amazingly well and doesn’t really show its age. Overall, the clarity of the XF300 really excels here. Dial the gain down to 18db or so, and the image looks many times better than the FX1. The 5D is amazingly clean, but I’d give up some “clean” for more clarity and detail. Is there something else you want me to test? Pipe up now while I still have the camera. Share this article on your facebook page, tweet it and send it to people you think would be interested. I want to make sure I help answer the most questions when this article runs in EventDV magazine and I only have a limited time with the XF300 before I have to send it back to Canon. More tests coming later this week. One of them being GREENSCREEN ha ha. Should be fun! Big lens, but only 18x? I’ll stick with the AH-X1 @20x. The flexibility of getting so close from so far is quite useful in a variety of situations; especially candids for business profiles. 18x would be a drawback for me. The AH-X1 is easy to handle off-tripod, especially when gripped from above and held low. What do you think? 18x is 90% of 20x. So you’re only losing 10%, but gaining a lot with the multiple recording formats, and the high bitrate 4:2:2 codec for any greenscreen / color grading work that will be done in post. The XF300 series is easy to grip above and below, the LCD screen is a knockout, dual CF cards for continuous recording (never run out of media because you can keep swapping cards out). I haven’t tested the low light capability, but I suspect the 3 CMOS sensors will do better than the previous gen CCD sensors, if possible jellowcam and flash banding aren’t issues in the footage you shoot. I’ll have more to say here as the tests get underway. Does your XF exhibit a change in color cast as you apply gain? I’m referring to the findings in this review: http://www.luminous-landscape.com/reviews/camcorders/canon-xf300.shtml (watch the last video). I’m also curious to hear how the LCD holds up in sunlight shooting.